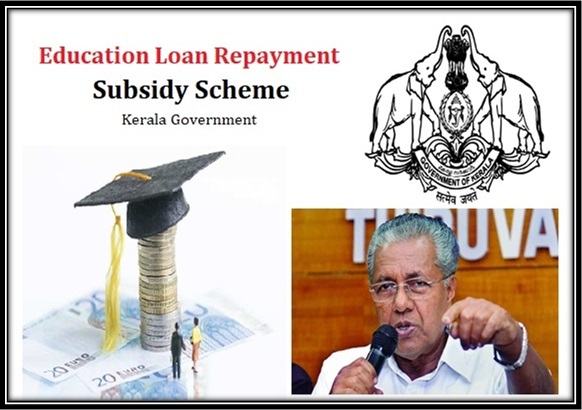 Kerala has launched a new scheme to help students with their education loan. It is targeted towards low income groups. The move is said to come at a time when the students in the state had been suffering from numerous cases of bad loans. Recently, National Informatics Center (NIC) has worked up a web portal to help students apply for this scheme. This scheme was first announced on 27th April 2017. On 4th August 2017 this scheme was officially launched at 2pm. The Health Minister, K.K. Shaylaja was present at the event where the official website was first launched. At elrs.kerala.gov.in all the details of the scheme can be found. After the launch of this website on Friday, it became officially active and open for registration. The government shall provide financial assistance for the scheme given that the annual income of the family of the student is less than Rs. 6 lakh – at the most basic level. The different types of loans have been divided into four different categories and they shall have different types of subsidies levied onto them. The move is basically based on the official estimates, according to which, there is a significant amount of student loan in the state which is turning into NPAs. This is why the scheme will aid the education system so that such snags can be removed because it is directly affecting the macroeconomic situation of the state. How is the loan account categorized? As of March 31, 2016, if your loan has become an NPA and follows the norms of the Reserve Bank of India then this is the category you shall belong to. In this case you have two options. You can either opt to pay the defaulted annual installments and regularize your account or close and settle the account by paying a One Time Settlement. Once again, as the rule suggests, the account should have become NPA as of March 31st 2016 – either in the books of the bank or according to the IRAC rules of RBI. If you happen to fulfill these criteria then you have two choices. You can choose to pay the overdue amount with or without rescheduling the loan and therefore regularize your account. Or, you can choose to close the account by paying a One Time Settlement according to the OTS scheme of the bank you have taken the loan from. You must consult the implications of the actions you take. It is best to talk to the bank before taking any decision. This also applies to the students with disability of 80% or more. If you are disabled due to an accident (or illness) that occurred during the tenure of the loan repayment period, then this category applies to you as well. In this case, only the event which caused this should have occurred. But the loan still should have been taken on or before 31st March 2016. This scheme is applicable only to those students who are the permanent residents of Kerala. This shall be matched with the KYC records of the bank to verify that you are a Kerala resident. The scheme also asks that you have got your education loan from a branch of any scheduled commercial bank or Kerala State Cooperative Bank or Kerala Gramin Bank or even KSCARD bank. If you have got the loan from any of the 14 district cooperative banks located in Kerala then also the scheme is applicable for you. The annual income of the student’s family should be less than 4 times that of the scheduled amount for annual repayment for the loan. Students with disability as mentioned above in category III, that is, those who have disability of 80% or more due to any incident or naturally, are eligible for the scheme. If the loan was taken for studying abroad then the student shall not be eligible for the scheme, even if they fulfill all the other criteria listed. Also, those students who have got admission under Management quota or NRI quota or Management seats, are not eligible for the scheme. These types of seats are allocated on factors other than merit. However, if you are studying in any nursing course and you have secured a seat from the Management quota then you are eligible for this scheme. 10th Pass certificate: You need to get a copy of the 10th pass certificate scanned and available in the PDF format for when it needs to be uploaded on the website. Aadhar Card: Once again you need a scanned copy of the Aadhar card in PDF format because you need to upload the copy on the website. PAN card: You need the Income Tax PAN of the student or of the borrower under whose name the loan is issued. You need to take a scanned copy out for this as well. Eligibility certificate: A Village Officer issued eligibility certificate, countersigned by a gazette officer is necessary for this scheme. You can download the format on the portal. Death certificate: You need a death certificate issued from the Registrar of Deaths. You have to keep this certificate in the PDF format like all the certificates mentioned below. Disability certificate: It should be issued by a competent authority keeping in line with the Persons with Disabilities Act 1995. Course completion certificate: If the student discontinued for medical or other reasons you need a certificate stating the reason issued from the head of the institution. If not, you need to produce the course completion certificate. Salary Certificate: Since salary is a criterion for providing the loan you need to provide the certificate in case the student is employed in the formal sector. But this is not mandatory for the deceased or disabled. To obtain the application form, you have to simply visit the website http://elrs.kerala.gov.in/#. This is the official portal where you have to register for the scheme online. At present there are no offline methods for filling the form. You can visit this website and get started as per the norms stated below. How to register in the Scheme? First of all go the website http://www.elrs.kerala.gov.in/ and then you will see the option “Student Registration” on the first page itself. Click on that button. Upon clicking, a new page will open where there will be a lot of fields to fill. Start entering the details like “type of student”, etc. on this page. At this point you will generate an ID and a password. Both will be sent to your mobile number which you have provided on the portal. Use the ID and password sent on your mobile number and login to the portal. A new page will open where you have to enter some details. You will be required to upload the PDF files of the different certificates which we have mentioned above on the site. Make sure you upload the right copy at the right field. After uploading the documents and filling out all the details that are required, you can submit the registration form for further verification. Once submitted, the portal shall generate a PDF copy of the application where your uploaded certificates shall also be shown. Take a print out of this copy in full. Sign with date on the places required in this print out – wherever required. Now take this print out with you along with the original documents to the bank branch. Now the banks will cross verify the online application when you take the records with you. You may also be asked to sign an application during verification. If the documents are found correct and eligible, your bank will arrive at the claim amount and the rest shall be intimated to you via the online portal. The budget for this scheme is Rs. 900 crore. For the year 2017 it is Rs. 600 crore. The government has ensured that although it will be a pressure pulling this amount for this scheme, the rising NPA assets owing to education loans are on an all time high. At present there is Rs. 1315 crore NPA in the state.